Design your very own makeup brush case! These brush cases are great for storing essential makeup brushes while traveling or to keep brushes together in a gym/overnight bag. 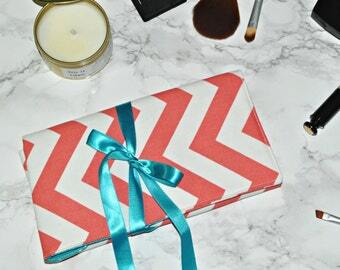 They would make a lovely gift for mothers, sisters, or any woman who loves to wear makeup (even as a treat for yourself!). Mix and match colors to make personalized gifts to your bridesmaids! 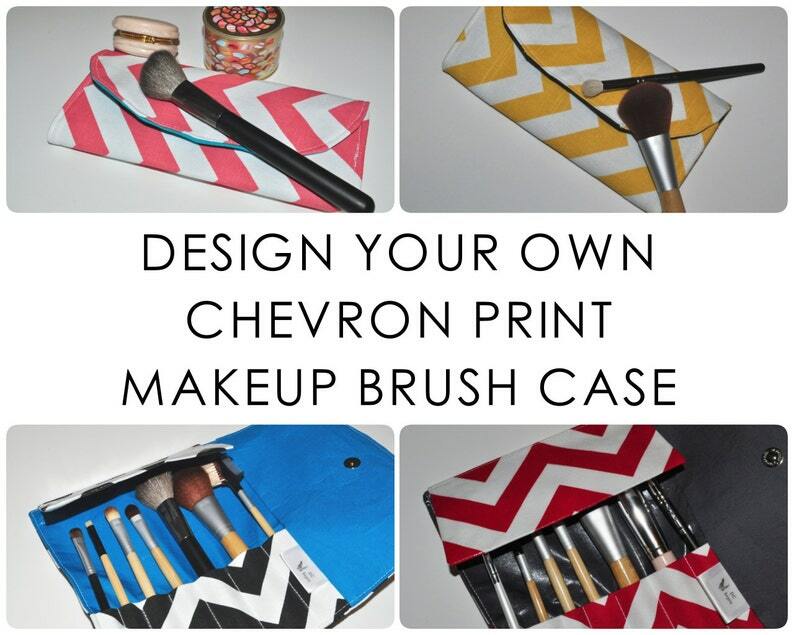 Select your chevron and solid fabric colors using the fabric/color charts and the drop-down lists to the right. If purchasing more than one Design Your Own case, please add different color combinations separately in your cart. "Love it! It's a great, well made, and the interior vinyl coating is a big plus. Arrived quickly and was beautifully packaged." "Great customer service! Received quick responses when contacting seller. Received my purchase not even a week after ordering. Arrived in excellent condition and even came wrapped! Definitely ordering from this seller again :)"